Grab a cup of coffee or a glass of wine and sit back in a comfortable chair to read the incredible and detailed research of Halynov's pedigree. Very impressive and lots of information, thanks to Arlene's diligent research. She is thorough. You will notice that Halynov has junior riders competing amateur in Youth Nationals, proving that his get have wonderful dispositions in addition to their athletic ability and beauty! 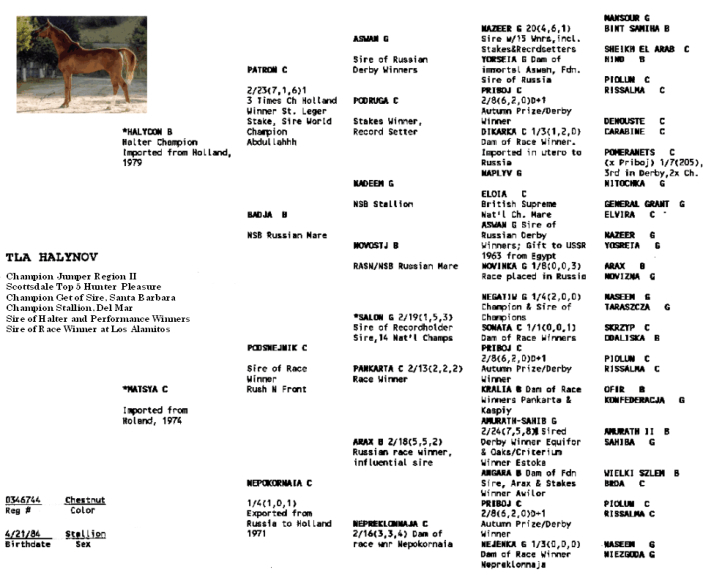 His offspring have competed successfully in Western Pleasure, Jumping, Huntseat, Dressage, Endurance, Halter and Racing. 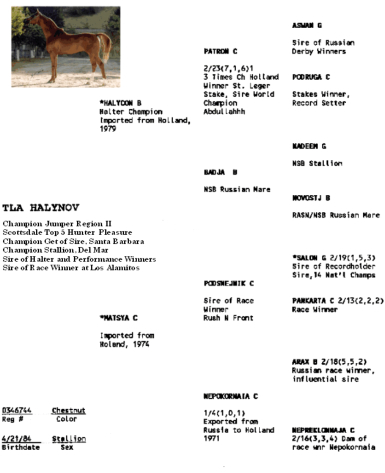 Not just pretty faces, his kids come from winning athletic bloodlines, as can be seen on the next page.